As you enter the village of Balquhidder from the east, a spur of road to your right leads to the village kirkyard. 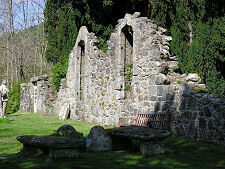 Here you find Balquhidder's Parish Church, the ruins of the Old Church it replaced, and the grave of Rob Roy MacGregor. Alongside him lie his wife and two of their sons. 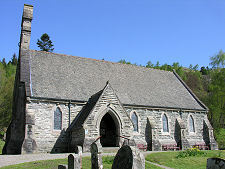 Balquhidder Kirkyard is situated on the lower slopes of the north side of Balquhidder Glen. 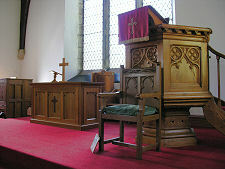 It reflects the continuation of a tradition of worship in the glen that goes back 4,000 years or more. The Celts believed this to be a "thin place" where the spiritual world and the earthly world came close together. To the south is a spur of Ben Ledi ("the hill of God") and traces of a Neolithic temple dating back to 1800BC have been found in the glen. More immediately, the hill rising above the kirkyard is called Tom nan Aingeal. This translates as "hill of fire" and dates back to its use by Druids as a site for sacred fires lit on Beltane (1 May) and Samhain (1 November) which residents of the glen used to rekindle their own domestic fires. 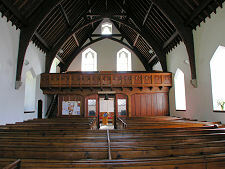 Christianity came to Balquhidder (probably) in the late 500s, in the person of St Angus. He was buried on the site now occupied by the ruins of the Old Church and some time later his grave was marked by a stone, which since 1917 has stood in the Parish Church. 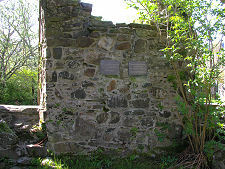 The first known church in the glen, the Eaglais Beag or "little church", was built here in 1250, on the site of St Angus's grave. The church was built by Abbot Labhran, who claimed the right for his heirs to be buried within the church. These heirs became known, after the Abbot, as the Clan MacLaren. A stone in the kirkyard records how the MacLarens were attacked by the MacGregors of Glen Dochart who, in 1558, murdered 18 MacLaren families resident in Balquhidder Glen before settling on their land. At the time the MacGregors largely evaded responsibility for what had been done. It was, however, one of the factors later held against them (the more immediate being their slaying of several hundred members of Clan Colquhoun at the Battle of Glen Fruin on 7 February 1603) when the entire Clan MacGregor was outlawed by James VI in April 1603. It became a capital offence even to carry the name MacGregor. In 1631 the "Little Church" was replaced on the same site by what is now called the "Old Church", whose ruins still stand in the kirkyard. 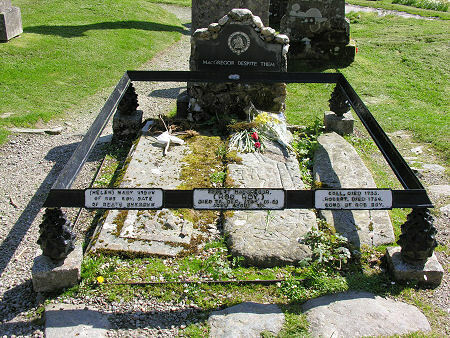 In 1734 the most famous outlawed MacGregor, Rob Roy MacGregor, was buried a little to the east of the Old Church, where he still lays, alongside his wife and two of his sons. The rail their graves was a later addition, which wrongly reports his age at death as 70. The gravestone carrying a reference to his outlawed name "MacGregor Despite Them" was added in 1981. 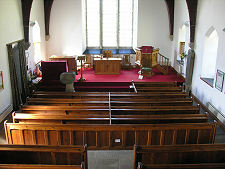 In 1855 the Old Church was replaced by the Parish Church that stands a little to its north. 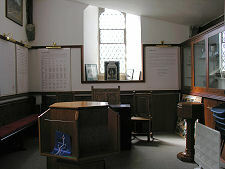 It is open to visitors and brings up to date the long story of worship in the glen. 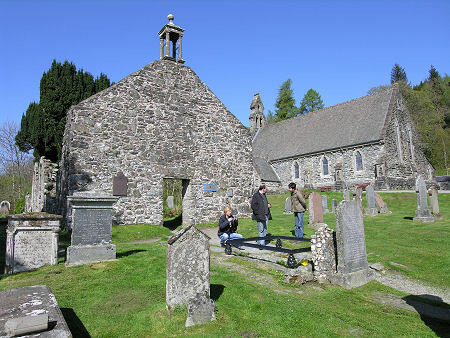 Anyone visiting Balquhidder Kirkyard should take the time to study the diagram on a metal plate to the right of the doorway in the east gable of the Old Church. 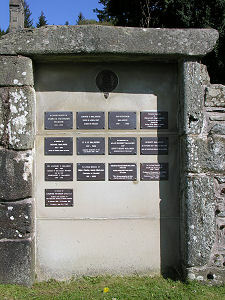 This shows the location of the many notable graves to be seen in the kirkyard, and sets out a little background about them.